Experience the magic, become a member of PFC today and join our community. We'll always save you a seat. 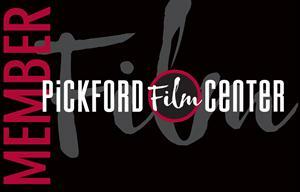 The value of a Pickford Film Center membership goes far beyond the ticket discounts, cheap popcorn and our monthly Pickford Film Calendar delivered to your door. PFC members play a vital part in keeping independent cinema alive in Bellingham. Annual memberships help sustain PFC and allow us to continue bringing the finest in independent film and special events to the entire community. Nearly every dollar of the money we gnereate, after expenses, stay right here in Whatcom County. PFC is proud of its stong membership base. With over 5,000 members, PFC boasts more than any other arts and cultural organization in Whatcom County. Our members are the foundation of our success and we strive to serve them with engaging and informative films week in and week out. PFC welcomes member input and suggestions. PFC is truly the community's living room and serves as an arts center that everyone can afford. PFC is more than movies!